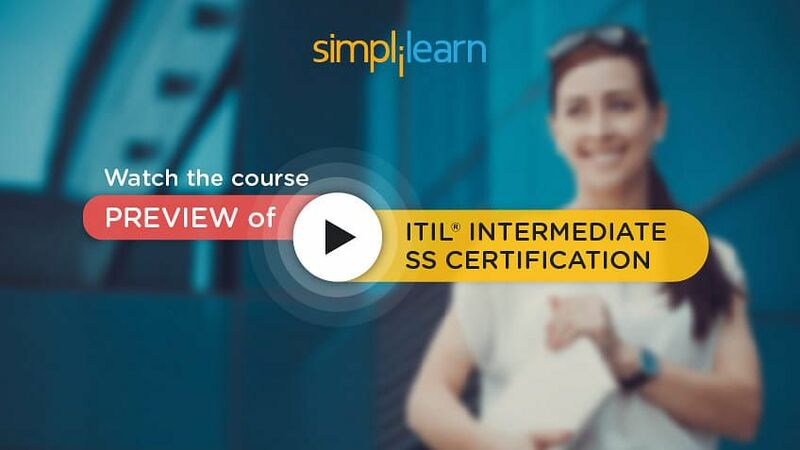 Welcome to the fifth chapter of the ITIL® Intermediate SS tutorial (part of the ITIL® Intermediate SS Certification Training). The purpose of this chapter is to explore various aspects of service strategy as they relate to the business, and the overall implementation of IT service management (ITSM). 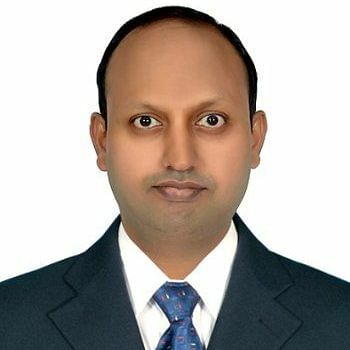 Specifically, it will provide an overview of corporate governance of IT, a service management system, the relationship between ITSM and enterprise architecture and the relationship between ITSM and application development. Let us go ahead and learn more about Implementation Strategies. The next section will explain us the objectives of this learning unit. Understand the contents of Project Charter? Let us proceed to the next section and learn more about these individual topics in detail. Let us start with understanding the first concept of Governance. Governance is the single overarching area that ties IT and the business together, and services are one way of ensuring that the organization is able to execute that governance. Governance is what defines the common directions, policies, and rules that both the business and IT use to conduct business. Many IT service management strategies fail because they try to build a structure or processes according to how they would like the organization to work instead of working within the existing governance structures. Changing the organization to meet evolving business requirements is a positive move, but project sponsors have to ensure that governance of the organizations recognizes and accepts these changes. Failure to do this will result in a break between the organization’s governance policies and its actual processes and structure. This results in a dysfunction organization and a solution that will ultimately fail. Corporate governance refers to the rules, policies, and processes (and in some cases, laws) by which businesses are operated, regulated and controlled. These are often defined by the board of directors or shareholders or the constitution of the organization; but they can also be defined by legislation, regulation, standards bodies or consumer groups. Governance is important in the context of service strategy since the strategy of the organization forms a foundation for how that organization is governed and managed. This figure below shows how governance works to apply a consistently managed approach at all levels of the organization - firstly by ensuring a clear strategy is set, then by defining the policies whereby the strategy will be achieved. The policies also define boundaries, or what the organization may not do as part of its operations. An example of this would be, stating that IT services will be delivered to internal business units only, and not be sold externally as an outsourcing company would. The policies also clearly identify the authority structures of the organization. This is indicated in how decisions are made, and what the limits of decision-making will be for each level of management. The plans ensure that the strategy can be achieved within the boundaries of the policies. Let us now move on to our next section and discuss the difference between Governance and Management. In our last section, we discussed the concept of Governance. This section explains the difference between governance and management. Governance is performed by governors. Governors are concerned with ensuring that the organization adheres to rules and policies; but even more, that the desired end results are being achieved in doing so. Management is performed by executives and people who report to them. Their job is to execute the rules, processes, and operations of the organization according to the governance policies, and to achieve the strategies defined by the governors. Managers coordinate and control the work that is required to meet the strategy, within the strategy, within the defined policy and rules. The executive ensures that governance and management are aligned. The figure above/below shows the role of managers relative to the activities of governance. Now, we will learn about the Governance Framework and IT Governance in the next section. The Governance Framework is categorized and structured set of documents that clearly articulate the strategy, policies and plans of the organization. IT Governance does not exist as a separate area. Since IT is a part of the Organization, it cannot be governed in a different way from the rest of the organization. ISO / IEC 38500 refers to corporate governance of IT and not IT Governance. What is normally called IT Governance is usually a matter of the CIO, or senior IT Managers, enforcing corporate governance through a set of applied strategies, policies and plans? Let us now understand, how is corporate governance of IT defined, fulfilled and enforced. How is Corporate governance of IT defined, fulfilled and enforced? Although IT governance is not separate from corporate governance, it is important that IT executives have input into how corporate governance will specify how IT is governed. This is usually achieved by establishing an IT steering committee, also called an IT steering group. The purpose of the steering committee is to establish how IT will comply with and fulfill corporate governance. In addition, it also represents how IT works with other business units to help them comply with corporate governance. An example of the IT steering group in relation to other governance bodies is shown in the figure given below. The name and specific roles of each of these groups may differ from organization to organization. Let us go to the next section to learn about, how service strategy relates to governance. How does service strategy relate to governance? Strategy management for an internal IT service provider will be overseen by the CIO and the IT steering committee. Again in larger organizations, this might be a dedicated function reporting to the CIO. The service portfolio is also an integral part of fulfilling governance since the nature of services, their content and the required investment are directly related to whether the strategy is achievable. The current and planned services in the service portfolio are an important part of strategy analysis and execution. Financial management for IT services is also a critical element of evaluating what investment is required to execute service strategies, ensuring that strategies are executed within the appropriate costs, and then measuring whether the strategy was achieved within the defined limits. Demand Management provides a mechanism for identifying tolerance levels for effective strategy execution. Each strategy approved by the governors must include the boundaries within which that strategy will be effective. Business relationship management is instrumental in defining the requirements and performance of services to Customers. This makes it possible for those customers to comply with corporate governance in their organizations. In the next section, we will learn about setting the strategy, policies, and plans. Although the governance process itself is out of the scope of this publication, it is helpful to provide an overview and to demonstrate the links between service strategy and governance. This figure highlights the main activities of governance. Governance needs to be able to evaluate, direct and monitor the strategy, policies and plans. These activities can be summarized as follows. Evaluate stage refers to the ongoing evaluation of the organization’s performance and its environment. These evaluations will include an intimate knowledge of the industry, its trends, regulatory environment and the markets the organization serves. The strategic assessment is typical of the type of input that is used in this evaluation. Proposals from managers, shareholders, customers etc. Feedback from users, customers, and partners. The next section will explain the direct stage activities. Direct activity relates to communicating the strategy, policies and plans to, and through, management. It also ensures that management is given the appropriate guidelines to be able to comply with governance. Decisions that have been escalated to management, or where governance is not dear. Now, we will discuss the concept of Monitor stage Areas in the next section. In this activity, the governors of the organization are able to determine whether governance is being fulfilled effectively and whether there are any exceptions. This enables them to take action to rectify the situation, and also provides input to further evaluate the effectiveness of current governance measures. Capability analysis, which will ensure that management has what they need to comply with governance. Let us now move on to our next section where we will learn about Establishing and Maintaining a Service Management System. Governance works to apply a consistently managed approach at all levels of the organization. Areas of specialization and processes within the organization are managed by management systems. As per the definition from ISO 9001, a management system is a system to establish policy and objectives and to achieve those objectives. A service management system (SMS) is used to direct and control the service management activities to enable effective implementation and management of the services. Processes are established and continually improved to support delivery of service management. Following are some of the characteristics of SMS. The SMS includes all service management strategies, policies, objectives, plans, processes, documentation, and resources required to deliver services to customers. It identifies the organizational structure, authorities, roles, and responsibilities associated with the oversight of service management processes. The adoption of an SMS is a strategic decision for an organization. The SMS, its processes and the relationships between the processes are implemented in a different way by different service providers. The design and implementation of the SMS will be influenced by the service provider’s needs and objectives, requirements, processes and the size and structure of the organization. The SMS is scalable. For example, a service provider may start with a simple situation that requires a simple SMS solution. Over time, the service provider may grow and require changes to the SMS, perhaps to cope with different market spaces, the different nature of relationships with customers, organizational changes, new suppliers or changes in technology. In the next section, we will discuss the IT Service Strategy and Business. The concept of service strategy and the business has been covered to some extent in previous learning units, but the components have been summarized and repeated here for reference. Aligning the IT service strategy with the business is an important exercise that involves both parties. Successful strategies are typically anchored top to bottom in the business vision, mission and core values. The overarching IT service strategy and underpinning service provider strategies should be examined and validated with the business to ensure that they serve the desired business outcome. Examining the IT service strategies at a more detailed level allows for the organization to be ‘fit for purpose’ and ‘fit for use’, which ultimately translates to value in the form of business outcomes. Let us now move on to our next section that explains the concept of Using Strategy to achieve balance. Building an overarching IT service strategy that is underpinned by a set of more targeted service strategies can require some careful consideration and planning. It often includes objectively considering a service’s current state, future state, competition, opportunity, risk and, most importantly, talking with the business. A good assessment of the effectiveness of a given service in supporting the overall business outcome and strategy is to evaluate how it impacts the balance of the organization. These are discussed in detail in ITIL Service Operation and also explained in the figure here. This might include a review of current investments, successes, failures, volumes, trends, costs, values etc. Achieving a perfect balance here is not only unlikely; it may be unbalanced by design. For example, the leadership team in a start-up organization may have a greater appetite for risk than that of the market leader. Therefore, adjusting the balances should be done intentionally and be fully supported by the business. The service providers cannot lose sight of the overarching IT strategy, their position as an integrated business partner or their role in supporting the overall business vision and mission. The image below illustrates a strategy used to achieve balance. In the next section, we will look at the concept of Integrated Patterns in IT Service Strategy and the Business. Alignment of IT strategies with the business is something that should be done with the business leaders. IT leadership can contribute intelligence about technology trends, open market services, opportunities, risks, and threats but, in the end, the IT strategies should represent the business they serve and should be understood and agreed to by the business. One method for creating and evolving these strategies is to create an IT steering committee with representation from the business, IT, enterprise architecture and governance. Examining the business value of IT services and aligning IT strategies helps to think about services in the context of value creation rather than components, technology, and organization. Now IT service providers can begin to retool and think about all of the potential service options rather than just the ones built or provided internally. IT can begin to transition away from specific technology discussions with the customers to value-based discussions anchored with the desired business outcome. When IT becomes an integrated strategic business partner, it starts to seek out the best possible solution for the business even if that means recommending a service provider other than itself. In the next section, we will discuss the IT Service Strategy and Application Development. IT strategy and service strategy are both directly linked with application development in a number of different areas. The IT strategy combined with the underpinning service strategy Lifecycle will serve as a primary feed into governance at application development. Decisions such as build vs. buy can also be influenced by IT strategy and the service strategy Lifecycle. One of the main activities within the service strategy Lifecycle is the classification of service assets. A well-defined service strategy combined with service asset classifications can empower business and leaders to make informed decisions without being intimately familiar with every aspect of a given service. Application development teams should maintain alignment with service strategy by incorporating it into individual product line strategies and internal development efforts. While service strategy is created to drive the fulfillment of the desired business objectives, application development plans should be aligned to support service and IT strategy. In a sense, the application development strategy will have its own 4 Ps of strategy (perspective, position, plans, and patterns) but it derives the overall direction from the service and IT strategy. This can also play a key role in helping the organization achieve the appropriate balance of innovation vs. operations. 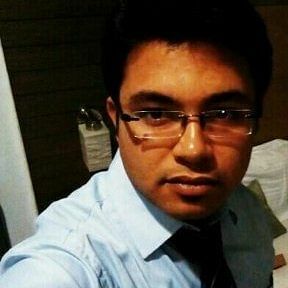 The next section will explain the concept of the Types of Service Management Implementations. There are almost as many strategies for service management as there are organizations that have implemented it. However, they typically conform to one of four patterns, based on the current situation of the organization. This section is based on ideas from Strategic Selling. ‘Even keel’ is a sailing term used to describe a sailing boat that is in calm weather and does not need any special techniques or tactics to move forward. Winds are favorable and sailing is straightforward. Decision makers feel that their organizations are well managed and on track to meet their organizational objectives. Although there may be some minor difficulties with IT, these are not significant enough to initiate any projects aimed at changing the way IT is managed. The appropriate service management strategy in these cases is to continue to focus on CSI and ensure that the organization continues to grow good service management practices over time. The appropriate strategy for service management |s the same as the performance projected by the organization’s leaders, in other words, IT should continue to do exactly what is in the existing plans. These organizations have recognized that there is a significant weakness or problem with the way in which IT is managed. This is usually seen in repeated outages, unreliable changes, customer dissatisfaction, capacity shortages, uncontrolled spending etc. Whatever the symptom, decision makers understand that they need to take significant action. Initially, they might have invested in some short-term fix that has not been successful, and now recognize the need for a more comprehensive management approach. Organizations in growth mode have made a strategic decision to improve or change the organization significantly over the planning period. For example, they might be expanding into new markets, establishing new lines of business or improving the performance of the organization as a whole. The organization’s strategy recognizes that IT is part of the solution to achieving this level of growth. Decision makers will look for a comprehensive/strategic approach, such as IT service management, to achieve this growth. These are organizations that are going through a fundamental change as an organization. The first phases of the project (assessment, planning, designing and implementing the solution) all need to happen very quickly. This is followed by a long and intensive program of entrenching the new practices into the new organization. The project is managed by a small group of people who may not disclose the details of the project until an appropriate time, usually around the implementation phase. This demands a less participative implementation style and makes it difficult to ensure that the requirements are comprehensive and accurate at operational levels. Moving on to the next section, let us see the graphs representing strategies for organizations. The figure below illustrates an organization in growth mode. The organization’s strategy requires a significant improvement in IT’s performance (the colored line). The IT service management project team needs to define an approach in which all service management processes and functions are deployed to the appropriate levels over time. The figure shows that there is a time lapse between the definition of the organization strategy and the IT service management implementation, set the strategy, prepare resources etc. The figure below illustrates the type of strategy required for organizations in radical change mode. The actual change is preceded by a significant amount of preparation activity. This often goes beyond planning and includes the actual implementation of key processes such as service portfolio management and business relationship management and functions such as a new financial management function for restructured organization and services. The figure below illustrates the appropriate strategy for organizations in trouble mode. This diagram shows the IT service management strategy will focus on building a solution that solves the immediate problem and moves the organization out of trouble. For example, If the problem is unreliable changes, the project will focus on building a centralized change management process, configuring and implementing the appropriate tools, and ensuring that all IT personnel are trained to use the new processes and tools. The figure below illustrates the pattern of repeated trouble. Over time, IT reacts to a series of problems, using service management to fix each one. The overall impression of the organization is that IT service management does not address all their requirements and in fact has been making the organization progressively worse. In addition, IT loses credibility at an increasing rate. In the next section, we will define a Vision and Mission for the SM Implementation. The planning team should be very careful to take the organizational vision and strategy into account as they develop the vision and mission of the service management process implementation. This section deals with the vision and mission of the service management process implementation, not for the entire organization. It may well be that the vision of the organization will change if the project is successful, but that is something that needs to be handled by the organizational executives as part of a separate exercise. One of the most common ways of developing a vision and mission is to conduct a workshop with key stakeholders. The outcome of the workshop is to have a vision statement that each individual is prepared to support and that they can explain convincingly. This seems to be fairly simple, but in reality, this is probably one of the most difficult things to achieve. Every person in the workshop has their own opinion about what is wrong and how to solve the problem. In the beginning stages of the workshop, it is not uncommon to find that every person there believes that the other people are the ones with a problem, and he or she has just been asked to attend to give the rest of the group the benefit of their experience! Let us now move on to the next section on Steps for defining vision and mission. In our last section, we discussed Defining a Vision and Mission for the SM Implementation. This section explains the concept of Defining the Vision and Mission – Steps. Let us understand these steps one by one. Step 1 - Where have we come from? Vision and mission statements do not occur in isolation. There has to be a reason for the team getting together to discuss the need for IT service management. The first phase of defining a vision and mission is to understand the events and dynamics that have led us to this point. This part of the workshop documents the factors that have led to this meeting. In this section of the workshop, the team will attempt to capture all relevant environmental factors that could influence what the vision and mission will be. Ideally, the assessment should have been conducted and will have identified most of these areas; however, it is still necessary for the team to consider these areas when defining the vision and mission. Whereas the previous section focused on what happened in the past, this section focuses on what could affect the future. Requirements expressed by any stakeholders or potential stakeholders. This part of the workshop is an extension of the previous one, except that here the review what other organizations have done in the area being considered. Now that the analysis has been completed the workshop becomes creative. In this step, the team is asked to imagine a future state in which the issues in the previous three steps have all been dealt with. This part of the workshop is likely to result in all kinds of ideas and suggestions, often uncoordinated and in no particular order. It is important to note that this is not the step where the vision and mission are defined. This is where the team has free rein to imagine. After Step 4 the team will be fairly excited about the vision that is emerging. One of two things can happen at this point: The team could get carried away by their enthusiasm and start creating a vision that is not feasible or practical. Some members of the team, realizing this, may start to negate the visions of other members, resulting in a kind of team despondency - and a vision that is not ambitious enough. We will now understand the Service Management Assessment in the next section. Once the organization knows what type of strategy it needs to follow, it is necessary to do an assessment to confirm the strategic approach and define a more detailed service management implementation strategy. Assessments based on checking compliance are different from those that are based on a maturity model of some kind. This section examines some of these differences and considers the circumstances under which each should be used. It also looks at some hybrid assessment approaches. Compliance-based assessments are aimed at evaluating whether an organization meets some type of external criteria or not. These criteria could be in the form of standards (e.g. ISO/IEC 20000), proprietary frameworks, legislation or methodologies. Assessments evaluate where an organization is located on a journey from one state to another. They usually start with a base state of zero and end at a state of 5. Both measure the organization according to a predefined set of specifications and standards. Both are structured, and require rigorous and extensive programmed questioning to determine the organization's position, often using standardized questionnaires. Both are repeated on a regular basis to determine the effect of changes in the organization. Compliance and maturity based assessments are both based on measuring the organization against an external or best practice. An exception-based assessment accumulates evidence of business failures caused by poor service management and uses these to justify a deeper analysis. So far we discussed the Service Management Assessment, let us understand its Variables in the next section. An ITSM (Pronounce as I-T-S-M) project or program will usually refer to an external reference as a guideline - in the same way as a driver would refer to a map to ensure that they are on the correct road. Most assessments are tied to a specific standard, framework, reference model or methodology. Understanding that no assessment is objective is an important step in a successful ITSM implementation. Even ITIL-based assessments tend to vary in how best practice is interpreted. Everyone has a different perception of what needs to be done. In addition, regardless of what an assessment recommends, the stakeholders will decide how to move forward. Often this is done in the worst possible way - as people pay lip service to the assessment results while working behind the scenes to promote their own agendas. The assessment will not be conducted in a sterile environment. Some ITSM processes may be in place already, and this will impact the findings and recommendations of the assessment. The assessment should also be used to challenge preconceived ideas about how effective the current situation is. Several ITSM projects have failed simply because they did not take into account that there were other projects competing for budget, people and executive support. Experience has shown that the solution that is eventually deployed rarely looks anything like the original plan. ITSM is not widely understood and supported in many organizations - it’s often seen as an internal IT project. Of course, this is not true - ITSM is dependent on a complex set of relationships and processes, many of which are controlled by other groups in the organization. Changes in the external environment should also be noted a good example of this was the introduction of Sarbanes-Oxley legislation. Many projects changed direction and scope as soon as this legislation was announced. The type of assessment that is available there is a number of assessments in the market, ranging from short and inexpensive self-assessments to complex, detailed and expensive investigations. The team should be careful to evaluate which assessment will yield the best result for their current situation. A complex, detailed assessment is overkill for an organization just starting out on their ITSM journey, whereas a high-level self-assessment will not be suitable for an organization looking for detailed guidance on how to implement a specific subset of processes. Let us now learn the Objective for Implementing Service Management in the next section. One of the most obvious inputs for defining the objectives of the project is the assessment report. Once the assessment has investigated the current situation, interviewed all stakeholders and examined relevant artifacts, it will be possible to provide a good idea of what needs to be done. The assessment can help the team to identify where to start, what needs to be done and in what sequence. Thus the assessment is a valuable tool to determine the scope and objectives of the project. The vision statement and the assessment results will indicate the desired outcome of the service management process implementation and a strategy on what gaps or obstacles exist that prevent that outcome from being achieved. The objectives of the project will indicate how the outcome will be achieved. By this stage defining the objectives should be quite straightforward, but it is important not to assume that everyone understands or accepts them. For this reason, it is mandatory that all stakeholders play a role in defining or signing off on the objectives. Depending on the scope and complexity of the service management implementation strategy, the team may need to have a separate plan to deal with the identified risks. This plan will become part of an overall project plan that is part of executing the strategy and will be reviewed at regular control points. Some projects will assign an individual to monitor and manage the risks associated with the project. In general, though, it is the project manager’s responsibility to ensure that risks are identified and that measures are put in place to mitigate them. Usually, the project team will jointly identify and document the risks, including the potential impacts and, if known - the probability of the risk occurring. Once the risks have been assessed and documented, together with their action plans, the risk management plan must be reviewed regularly to ensure that appropriate actions have been taken and are working as expected. It is important to note that any of the risks may change status throughout the project. For example, we may have totally avoided a risk, or a mitigation action is so successful that the risk is downgraded or even retired. On the other hand, a situation may arise which may cause some risks to become more probable, thus increasing their ranking. The next section we will look at preparing a business case. The concept of the business case and its use are described in earlier units as it refers to calculating the return on investment for services. This section considers business cases in the context of defining a strategy for service management process implementations. The purpose of a business case is to demonstrate the net benefit of the project to the organization. This involves analyzing the cost of the project and then comparing it with the benefits of the project. The business case typically also contains an analysis of what would happen if the project did not go ahead. The amount of work involved in a project is always an estimate, and there are very few guidelines available regarding the number and type of resources that are going to be needed for ITSM implementation projects. Some guidelines are given in the next unit, but these will vary depending on the scope of the project, how many processes are going to be implemented, whether they are going to be implemented concurrently or sequentially etc. Since ITSM processes are often concerned with ‘maintenance and control' type activities, it is often difficult to show a direct benefit to the functionality of the organization. In addition, benefits like improved staff morale and customer satisfaction are difficult to demonstrate. The business case will, therefore, need extra effort to link some of the indirect and intangible benefits to direct business outcomes. Organizations that are implementing ITSM often do not have metrics and complete historical data to help them demonstrate potential benefits. In addition, business performance data may not be available for similar reasons - or if it is available it may be confidential. In this section, we discussed preparing a business case. The next section will explain the concept of Project Charter - Contents. All project management methodologies use the concept of a project charter, although it is sometimes known by other names. The charter is the document that authorizes the project team to execute the project and allows the project manager to assign tasks and responsibilities to individuals on the project even if they report to other managers. The names of the project team, and a brief description of their roles. There are no rules regarding the content and length of the project charter except that it should be short enough that people will actually read it. For example, from experience, it means fewer than five pages. Let us now look into the concept of Go or No Go – Decision -Factors. The final step of the service management process implementation strategy is to obtain agreement to proceed. If an agreement is not obtained, this will require the planning team to make changes if funding exists, or seek additional funding to change the strategy, or else stop the project altogether. A “go” decision for the strategy usually depends on the following factors. A realistic assessment and communication of the threats and how they will be mitigated A clear alignment between the project charter and the strategy of the organization as a whole. In the next section, we will discuss the summary of this learning unit. This section summarizes the learning unit and the topics covered. With this we have come to the end of Chapter-5, let us move to the next chapter on Organizing for Service Strategy.